The 38th edition of Cannes Yachting Festival – the international in-water boat show – will take place between 8 and 13 September 2015 on the glittering Bay of Cannes, famed for glitz, glamour and international premieres. Marking the start of the international yachting calendar, with up to 100 world premiere boat launches, visitors to Cannes Yachting Festival are given the exclusive first chance to admire and test-drive the latest releases on the open water. Following last year’s rebrand, Cannes Yachting Festival continues to strengthen its international and luxury lifestyle appeal. The Festival expects to welcome over 50,000 international visitors this September and introduces a new exclusive programme to elevate the luxury experience; the Riviera Card. The Riviera Card offers a unique tailored programme for select guests seeking a heightened level of service to the entry tickets and the already existing VIP card. 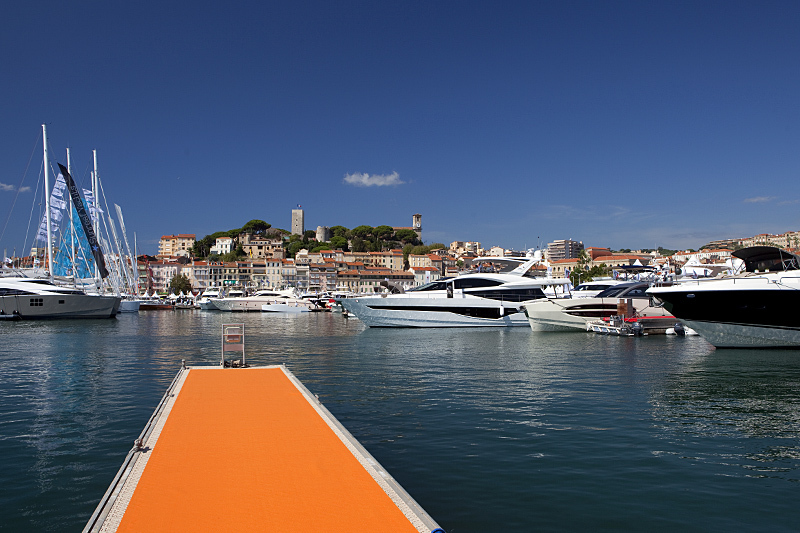 As well as privileged access to the Festival, Riviera Card holders enjoy exclusive services such as a guided tour of the Festival by the show organisers aboard a yacht tender to view the finest yachts from the water, and money-can’t-buy priority access to the yachts. Additional benefits include a helicopter transfer, use of the official courtesy cars, as well as access to the VIP Club throughout the Festival.